Tent Rentals, Tent for sale, tent for sale, marquees, rent a marquee, event tent rentals. These are the services provided by World Marquee Equipment Rentals. They will give you the best advice, options, and ideas about event organization with the use of tents and marquees. The company offers top of the class marquees and tents with modernized design and up to date technology together with the durable and dependable strength and architecture. 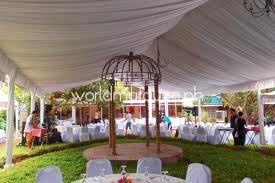 These marquees and tents are best for different events such as weddings, parties, gathering and ceremonies. Try it, and check them out!